After more than a decade of planning, legal wrangling, and construction, One World Trade Center is tantalizingly close to completion. Earlier today, the Port Authority offered a glimpse of the WTC's 100th floor observation deck as well as the stunning views visitors will enjoy when the tallest building in the Western hemisphere opens to the public in 2015. 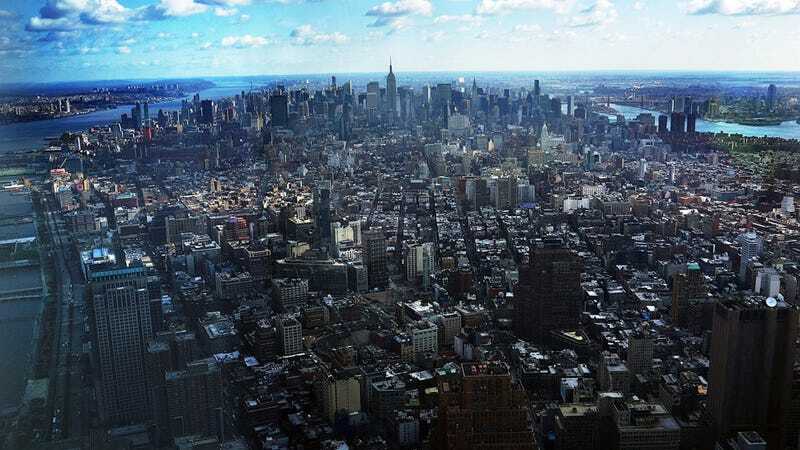 This is what the financial district looks like from 1,250 feet up. The observation deck will span three full floors and offer broad panoramic views of Manhattan as part of an hour-long tour. The Manhattan Bridge as well as surrounding boroughs will all be visible.